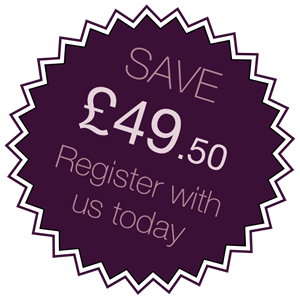 Register with CrownWood Dental and receive 50% off your initial consultation. This exclusive offer is only available for new patients. Simply call 01344 482 882 or register your details below. Everyone around us is increasing their prices, but we are determined to offer you and all our patients the very best value around and help to save you money. At CrownWood Dental, our priority is to maintain the health of your teeth and gums backed up by an extremely high dental service. Whether you are looking to brighten your teeth or wish for a complete smile makeover, the best results that dentistry has to offer comes from private care. Private patients receive a treatment plan that breaks down what’s involved and how long the procedure will take. And to make things even more affordable, we also offer a wide range of dental treatment finance options. With 0% interest-free credit over 12 months as well as other options, we make sure your dream smile is well within reach. Established in Bracknell for over 20 years, CrownWood Dental welcomes all patients, including those with dental phobia, and we promise to make your experience a pleasant and enjoyable one. We are renowned for having the very best clinical skills and are committed to further post-graduate training for our dental staff. We use modern state-of-the-art dental equipment and the latest technology, together with the very best in sterilisation and cross-infection control procedures. Our introductory offer is fantastic value for money and is carried out by our professional and experienced dental team. To take advantage of this exclusive offer, please call 01344 482 882 or complete the simple form below. "Every time I come for any of my appointments, at your surgery, I am very pleased to say how everyone is so very friendly and provide an exceptionally high standard of professional service."